Students walking through the North University Park area will notice a new fixture on the sidewalks this week -— 22 patrolling security guards in bright yellow jackets. The university has hired Contemporary Services Corporation to monitor the area, stationing guards at fixed locations in the North University Park area. 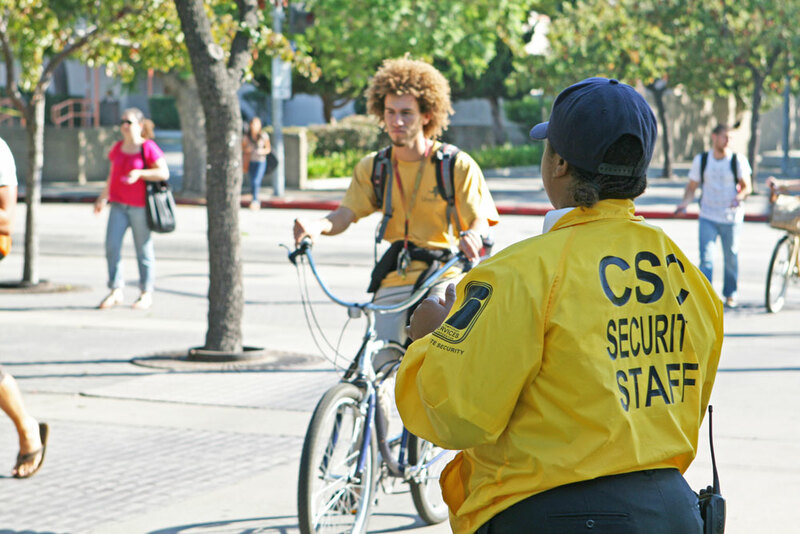 The USC Department of Public Safety hopes the CSC security ambassadors will help make the area feel safer. DPS Capt. 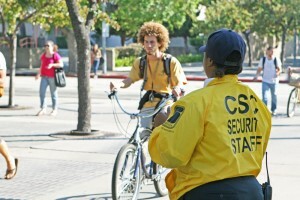 David Carlisle agreed the security ambassadors are an important component in helping students feel safe around campus. 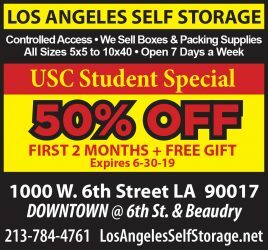 “They will act as an additional community resource to create a sense of well being and security,” said USC Department of Public Safety Capt. David Carlisle. The security ambassadors will not actually handle crimes, Drayton said, but they can report crimes either to their supervisor via radio or directly to LAPD. Charlie Lane, associate senior vice president of USC Career and Protective Services, said he thought the security ambassadors could actually help decrease crime rates, in addition to creating an atmosphere of greater safety. Lane said the university decided to employ CSC because, although crime is down, there’s still room for improvement to campus safety. Drayton said hiring private security officers was an easier solution than employing additional DPS officers, particularly in light of the university-wide hiring freeze. Hiring and training 22 DPS officers would be a large undertaking, Drayton said, and was one the university didn’t think was worth pursuing, given the option of hiring a private security force. Though more efficient than hiring more DPS officers, Drayton admitted hiring CSC personnel was a large investment — DPS would not disclose the exact cost. Still, Carlisle said, the investment is worthwhile if it helps students feel safe. Many students said the security ambassador program does make them feel safer. “I like it because, if they’re stationary, then I’ll know if I have to run somewhere, that’s where I’m running,” said Summer Lindman, a senior majoring in vocal arts.